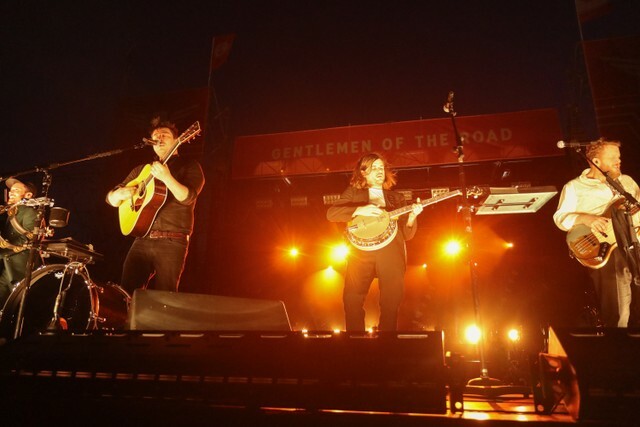 Mumford & Sons released their fourth album Delta in November, and the band has been on an extended world tour ever since, with stops across Europe and North America until May of this year. In November, the band performed a cover of the Ariana Grande song “Breathin” at the BBC Live Lounge, and at their show last night in Cleveland, the band took the opportunity to play another cover, this time of Nine Inch Nails’ 1994 song “Hurt,” as Stereogum points out. This weekend marks the 25th anniversary of Nine Inch Nails’ 1994 album The Downward Spiral from which the song is taken. The release was featured on our list of the 20 best albums of 1994 alongside standout LPs from Beck, Pavement, R.E.M., Hole and more. Watch Mumford & Sons cover “Hurt” below and revisit our The Downward Spiral interview with NIN frontman Trent Reznor here.